Tiger Woods is the only son of Earl Woods, a former lieutenant colonel in the United States Army, and his wife Kultida, a Thai National. The couple met in Thailand during the Vietnam War. Close to his parents, Tiger Woods had a joyful childhood growing up in Cypress, California. He remembers quite well loving his bicycle but his deep interest in golf started at a young age. He was just 6 months old when he would watch his father hitting golf balls. At 2 he was putting with Bob Hope on “The Mike Douglas Show” and at age 3 he scored a 48 for 9 holes. Woods was featured on ABC’s “That’s Incredible” as well as Golf Digest at age 5. He was only 8 years old when he won his very first formal competition. From that point Woods became unstoppable, winning trophies and smashing records in almost every competition. Media accounts of the boy prodigy had reached almost legendary proportions by the year 1994, when he entered Stanford University on a golf scholarship. During Tiger Woods’s initial year of college, he won 10 events, concluding with the NCAA title. His other amateur success included a 1994 Western Amateur win. He represented the US in World Amateur Team Championships in France in 1994 and the Walker Cup Match in Wales the following year. By the year 1996, Woods had won 3 US Amateur titles in a row. He was 20 years old when he dropped out of college so as to play professional golf. In 1996, Woods became a professional golfer. Weeks after he won a third amateur title, he played his very first championship in the Greater Milwaukee Open. This tournament was among seven events left in the years 1996 for him to earn the player’s card for a PGA TOUR. He won two times and was placed among top 30 world money winners qualifying for the tour championship. Beginning 1997 in spectacular fashion, he won the season-opening Mercedes Championships. He also won The Masters the same year becoming the youngest person to win the Masters title. On June 15th, 1997, Woods became the youngest-ever No. 1 golfer at 21 years old. The previous youngest No.1 golfer was Bernhard Langer, age 29 in 1986. In 1998, Woods beat Ernie Els in the Johnnie Walker Classic in a spectacular playoff in Thailand. In his third season as a professional golfer, 1999, he won 8 times on the PGA Tour and earned a record $6, 616, 585. Woods won 11 tournaments in 2000, 9 on the PGA, 1 on the European tour and a PGA Grand Slam. In 2001, he won 5 times on the PGA tour. In 2002, he won 8 times again. He won 20 times from 2003 to 2006. He started 2007 with his 7th PGA tour win and ended the year with 7 wins. In 2008, Woods won 4 of 6 PGA tour events including the 14th major at the US open. He returned to the winner circle in 2009 after 286 days and finished the year leading the PGA tour. 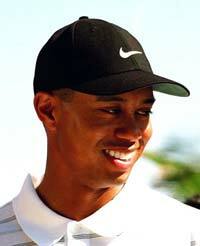 In 2010, Woods finished tied 4th at the Master and the US open and lost at Chevron World Challenge. In 2012, Woods won 3 tournaments, including his 7th Arnold Palmer Invitational, his 2nd AT&T National and his 5th Memorial tournament. Tiger Woods has won many titles in various tournaments across the world. He is undoubtedly one of the greatest golfers of all time.